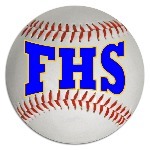 ​Max Fortier didn't allow a single run as Falmouth Yachtsmen Varsity defeated Kennebunk 2-0 on Friday. Fortier allowed just two hits and induced a double-play from #19 to end the game. The pitching was strong on both sides. Max Fortier struck out seven, while Kennebunk pitchers sat down five. One bright spot for Kennebunk was a single by #8 in the second inning.Fortier earned the win for Falmouth Yachtsmen Varsity. He went seven innings, surrendering zero runs, two hits, and striking out seven. #5 took the loss for Kennebunk. He pitched six innings, allowing two runs, seven hits, and striking out four. Falmouth Yachtsmen Varsity had seven hits in the game. Robbie Armitage and Marcus Cady each collected multiple hits for Falmouth Yachtsmen Varsity. Colin Coyne and Cady each drove in one run to lead Falmouth Yachtsmen Varsity. Falmouth Yachtsmen Varsity didn't commit a single error in the field. Griff Aube had the most chances in the field with seven.